This week’s free download on the parshah comes from a book celebrating a big milestone this month. Tales of Tzaddikim is celebrating its 15 year anniversary this month! This popular series is part of The ArtScroll Youth series. It teaches young adults (and grown-ups too!) about the parsha through stories from our sages and Torah leaders. In celebration of its 15 year anniversary, we are featuring an excerpt from this Tales of Tzaddikim’s section on this week’s parshah for this week’s free learning download. 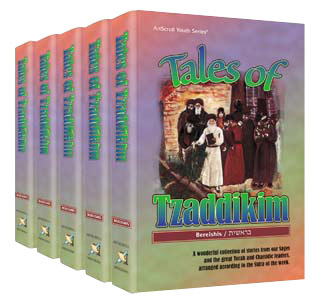 Click here to purchase Tales of Tzaddikim – Shemos.